You either love or hate Philip Rivers. 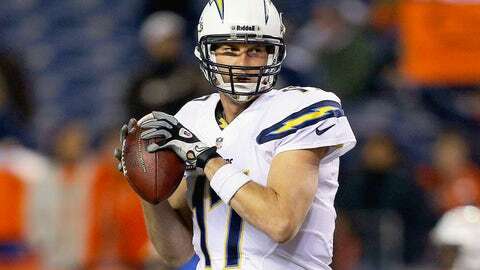 The Chargers quarterback plays with raw emotion, which can best be seen in his showing Thursday night. Who was on the other side of Rivers’ tongue lashing? That would be rookie wide receiver Keenan Allen. Allen, who leads the team in receptions and yards, broke inside when Rivers was anticipating the receiver to break outside. Naturally, the ball sailed off target and Rivers produced this gem.